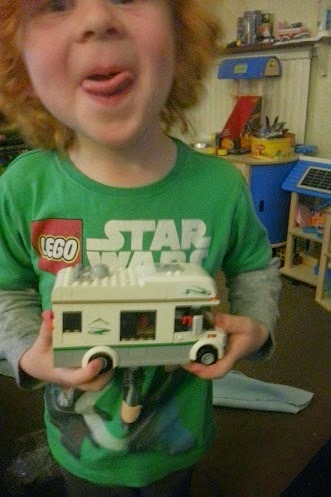 It'll come as no surprise to anyone who knows us that we now have 3 LEGO camper vans (as well as a real one). 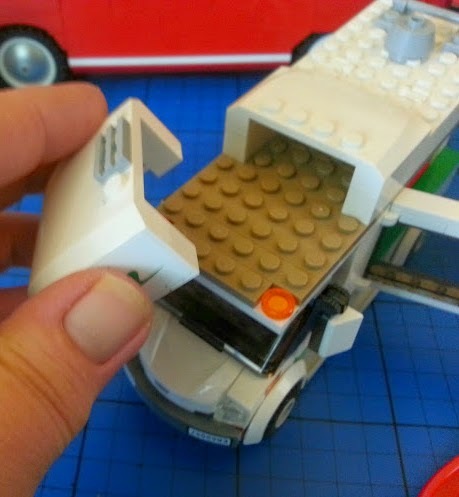 The larger Volkswagen Splitscreen LEGO model belongs to the grown ups, but the 2 smaller models are the children's. Friends sent the children the 60057 set as a gift, and without any prompting our 4 1/2 year old opened it and built it entirely on his own. He was incredibly proud. 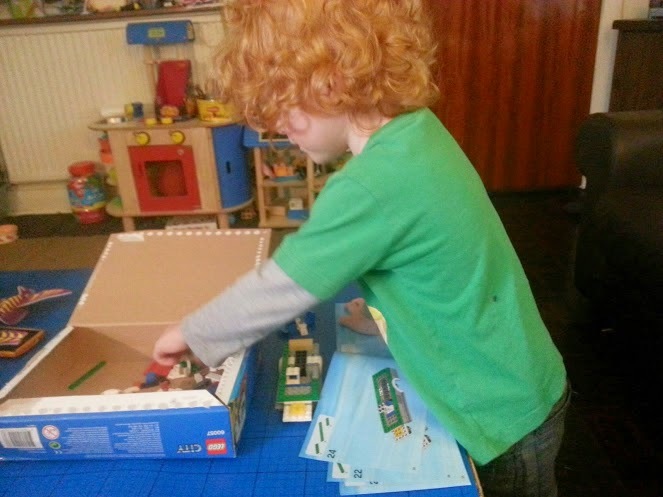 This is the first time he's taken a set with instructions and built the model as suggested, rather than just making up something himself or using the picture on the box as a rough guide for his own creation. So what is the camper van like? It's pretty cool actually. The model has a suggested age range of 5-12, costs £17.99 and has only 195 pieces. This makes it ideal for a younger builder. There are no overly fiddly bits, and it's a fairly straightforward build. The shape of the vehicle comes together pretty quickly, so it's easy to see where it's going. 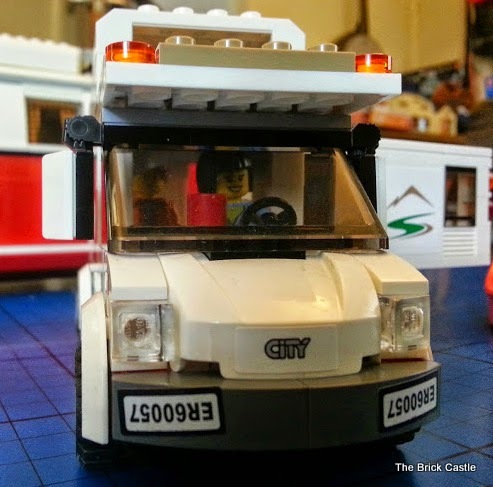 The previous (now discontinued) LEGO City Camper Van model 7639 was much smaller and a lot less sophisticated. It opened down the middle, and while it was still very cool and we were very happy with it, you can see that play is somewhat limited. The opening sides meant it took up a lot of space and the 2 seats inside filled the rear interior. 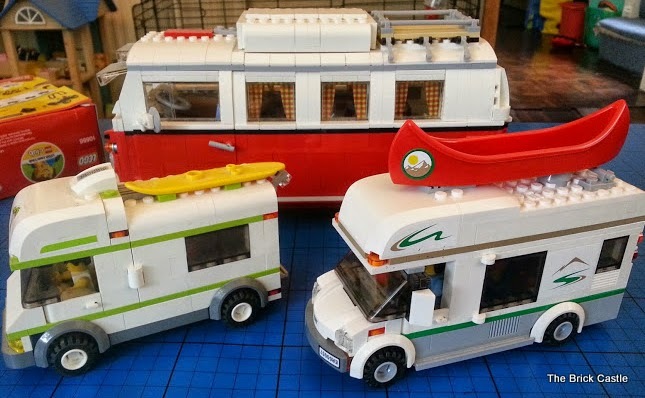 The current LEGO City Camper Van set 60057 is substantially bigger, and uses some of the different techniques that LEGO are regularly adding to builds nowadays, such as the hinged side and large windows and wall plates. The yellow surf board and red pushbike (not shown) are replaced by the red kayak, life jackets and paddles. 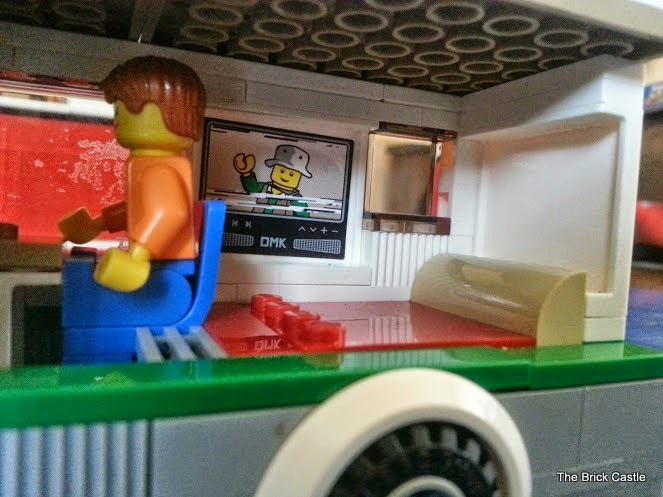 The increase in size allows for a table and a downstairs double bed - pretty essential in campervans. It also has a huge TV sticker. Our 4 year old misread the instructions and fixed this to the window initially. 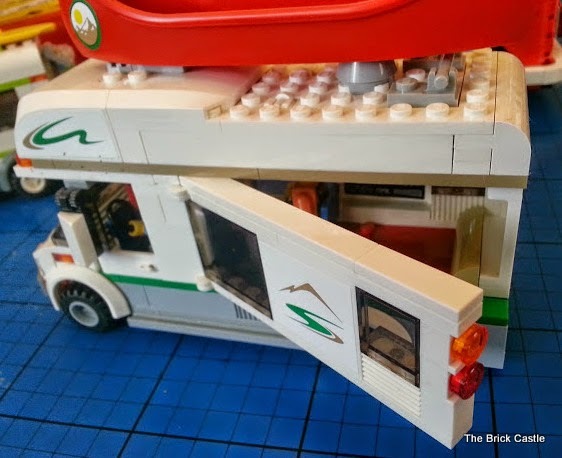 The increase in space also allows for the walkthrough to the front cab, you can then turn around the drivers seat as is possible with real campers, and the large roof bed (still only accessible from outside), plus additional roof storage. I think it's a great build, and for the money offers a play set/vehicle that's robust and really easy to play with. 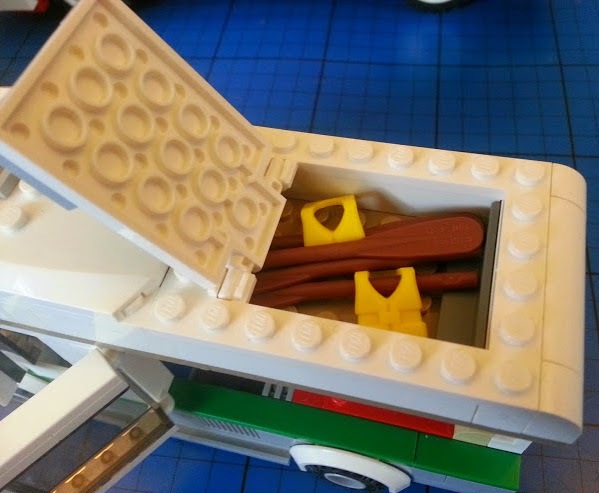 It's full of potential for storytelling and imaginative play, and if your 6 year old only had this one LEGO set, they'd still be able to play with it for hours. 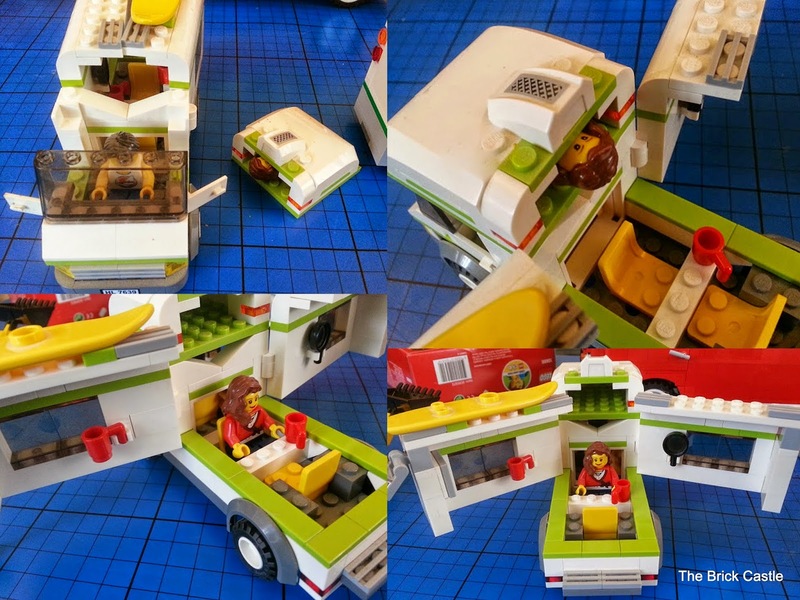 The front left Camper Van Play Set 7639 is a discontinued model. 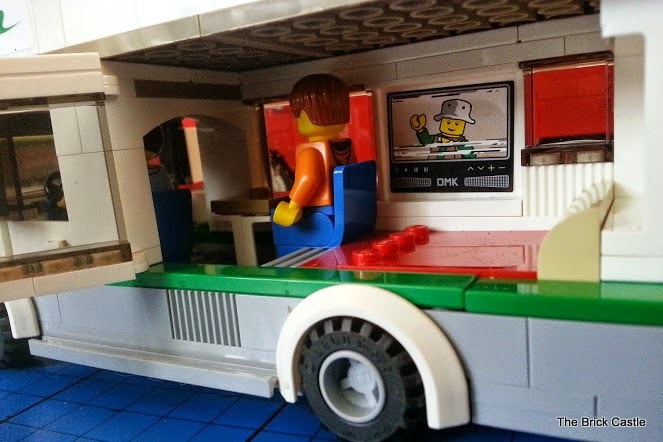 I love how proud he looks, very impressive build :) I nearly bought this model on eBay to try and mod as the van from Breaking Bad, but I imagine if it came home Annie would steal it before I could get to it!! I think she probably would - he's played with it loads since he finished it. I'm stunned it's still in one piece! 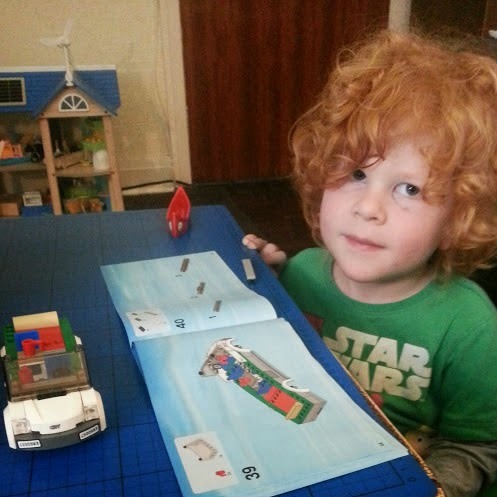 He is very clever to build for his age! Well done to him! That look super cool van! That's very impressive! He is right in being proud of himself! It looks like a really fun set that i'd enjoy playing with too! Oh Zeke you're so blummin' cute! Well done you!! Oh - nice review too Jenny! I love the look of this set, it's really well thought out. Great work Zeke! 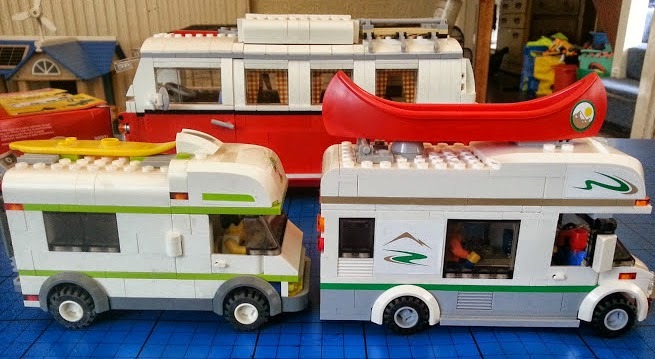 The campervan is one of my favourite sets, and the new one looks even better. 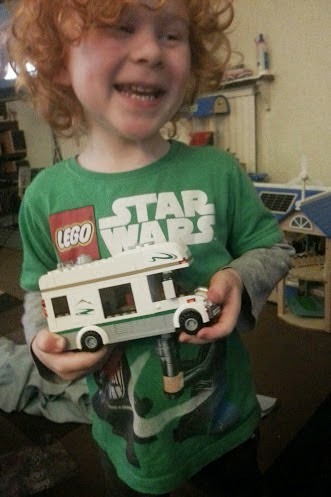 Your boy looks very pleased and hope he has lots of fun with playing with his camper. That does look good. I'm totally impressed with the building skills too. I'm proud of him, but I'm biased. I think it looks incredibly impressive for an age 5 set though!